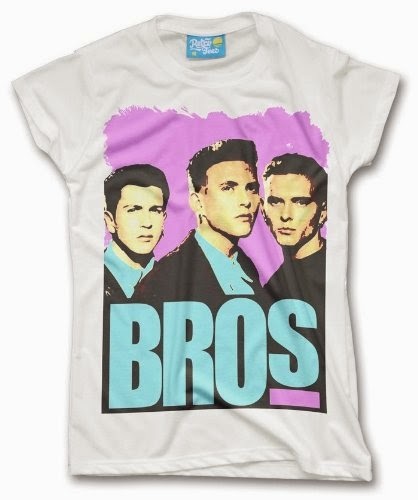 I still have vivid memories of crazy teenage girls in Bros T-shirts screaming wildly at the latest boy band sensation back in 1988. 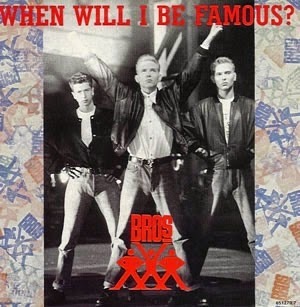 In their debut single, they asked the question "When will I be famous? ", and the answer was pretty clear - immediately! Actually, that's not quite true, the song originally peaked in the British charts at an unremarkable No.62 in 1987. However, when a reissue rocketed to No.2 then fame was quickly thrust upon the band. In recent months, T-shirts adorned with the 80s teen pop bands have seen a resurgence in sales through our website SimplyEighties.com. The popularity of festivals and concerts such as 80s Rewind probably play a part in this. 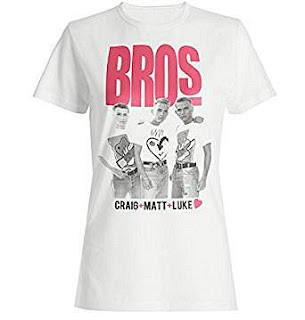 So for this post, I'm going to show you the latest T-shirts featuring Matt, Luke and Craig, which is a good idea seeing as I've already titled the post "Bros T-shirts". 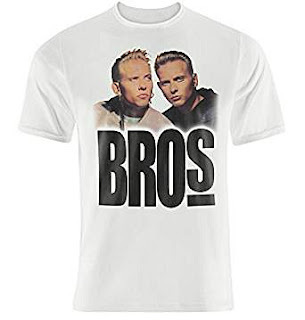 With the most popular choice of 80s party T-shirt being the classic "Frankie Say Relax" and "Choose Life" designs from 1984, a Bros tee is a good choice if you would prefer to celebrate 1988 instead. There are several designs available in the UK, and, thankfully, they're all decent ones. The most popular T-shirt features a black and white poster image that was, no doubt, adorning the bedroom walls of a large number of teenage girls back in the late 1980s. The tee (by Retro Tees) is available in six sizes from 6 to 18, which is another reason for its popularity. It is, of course, ideal for 80s events, festivals, concerts and parties. Please note that all prices quoted in this post are subject to change. This tee by Retro Tees includes a promise to despatch the item the same day (if possible) or the next working day. So if you're looking for a shirt at short notice, this is ideal. It only features Matt and Luke, so if you're a Craig fan then try one of the other designs featured here. This design is a new at Amazon and is available for ladies only in sizes from 8 to 18. If you prefer a bit of colour in your life then this second T-shirt for ladies will be more to your liking. This one is also produced by Retro Tees and available in the same range of sizes for the same price. 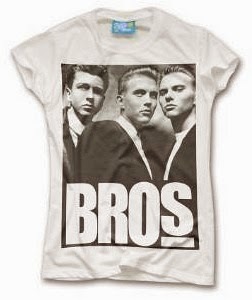 You can also see a wide range of 1980s T-shirt ideas on this website, and don't miss the Bros page if you were a fan of the band. 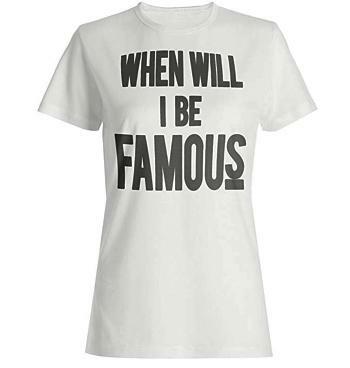 Finally, this Bros lyrics tee for ladies which features classic 80s block letters is perfect for any 80s event. It fits sizes 6 to 18 and is being sold by Retro Tees on Amazon.